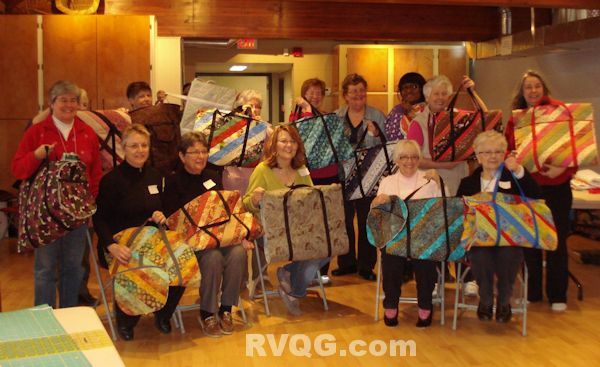 Fifteen ladies came to the workshop on Feb. 16 to make The Weekender Bag, with Trish Della-Vella and Mary Eeg. It was a busy day, with sewing on straps, inserting zippers, and adding pockets. The fabrics were great! You'll see the finished bags at the meeting on Feb. 25.